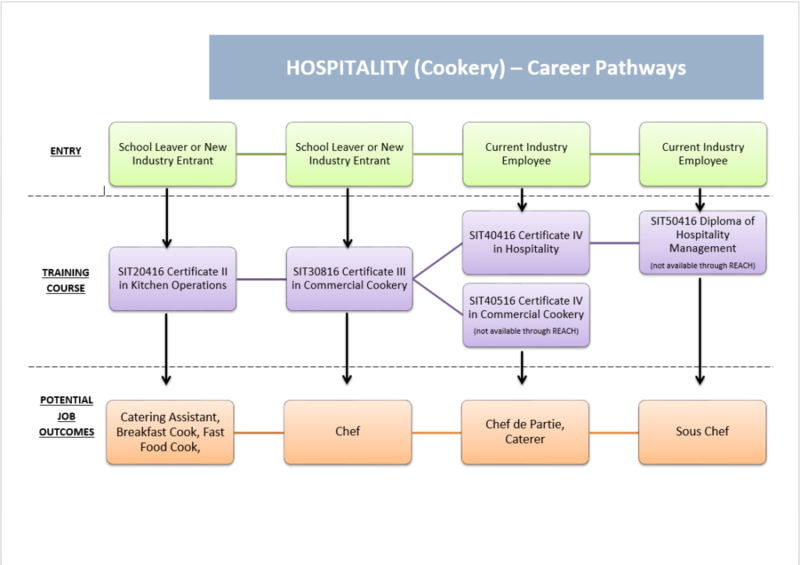 Overview: This qualification provides the skills and knowledge for an individual to be competent as a qualified cook. Work would be undertaken in various hospitality enterprises where food is prepared and served, including restaurants, hotels, clubs, pubs, cafes, cafeterias and coffee shops. Individuals may have some responsibility for others and provide technical advice and support to a team. The qualification is suitable for an Australian apprenticeship pathway.